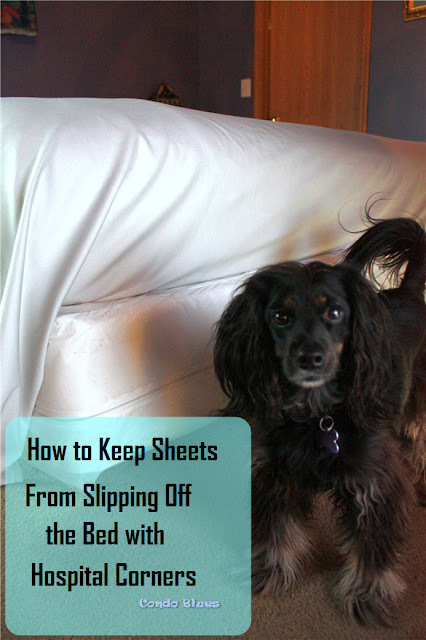 Apparently it is a huge big deal whether or not you make your bed and use a top sheet. This something that is totally out of frame of reference because if you don’t use a top sheet, you need to clean blankets and/or duvet weekly and is way too hot and gross to use during the hot and humid summer. I understand the argument of the to sheet getting all twisted up and becoming tucked itself when tossing and turning while you are sleeping. I get it. That used to happen to me until I found an easy fix: Make your bed with hospital corners. Problem solved! The sheets I am using in this example are a set of 100% cotton ethically made 400 thread count sheets I received for review from California Design Den. California Design Den has sheets a wide range of cotton thread counts, colors, styles, including organic cotton (you can check out all of the California Design Den styles and colors on their Amazon storefront here. 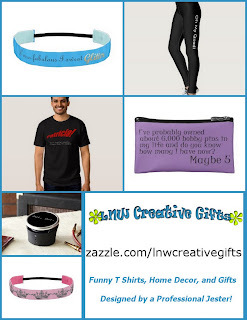 You can also buy them on Wayfair here and Nordstrom Rack. The way I was taught to make a bed was to put the top sheet on the bed and just randomly stuff the top sheet in between the mattress and the boxes spring starting at the side of the bed and why it would fall off the bed – oops. 1. Put the fitted sheet on the mattress. 2. Put the center the flat sheet on the bed making sure the amount of sheet on the sides are even. The overhanging sheet at foot of the bed should be longer than the head of of the bed. 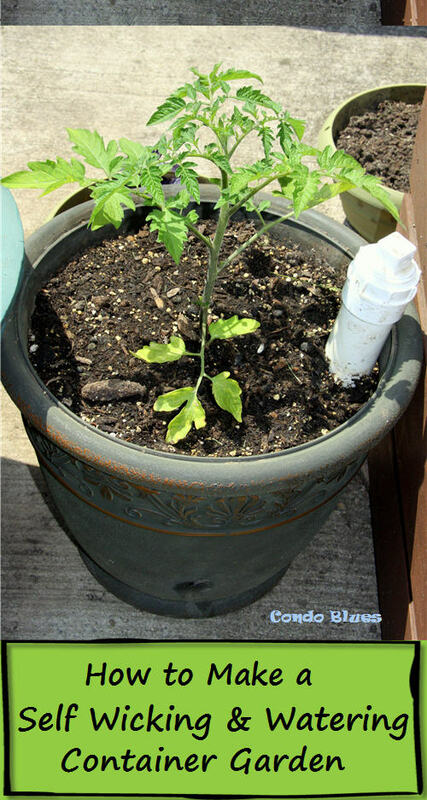 Tip: if you are using a printed sheet, the pretty printed side should face down toward the mattress. This way when you putt the sheet and covers back (turn down the bed) the printed side of the bottom and top sheet show. 3. 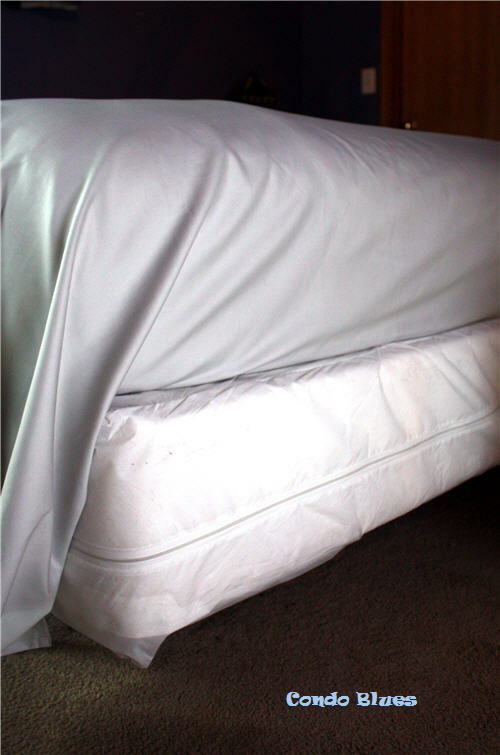 Smoothly tuck the flat sheet in between the mattress and box spring at the foot of the bed first. 4. Move to one side of the bed. Lift the top of the excess sheet up with your right hand while tucking the bottom part of the flat sheet in between the mattress and box. 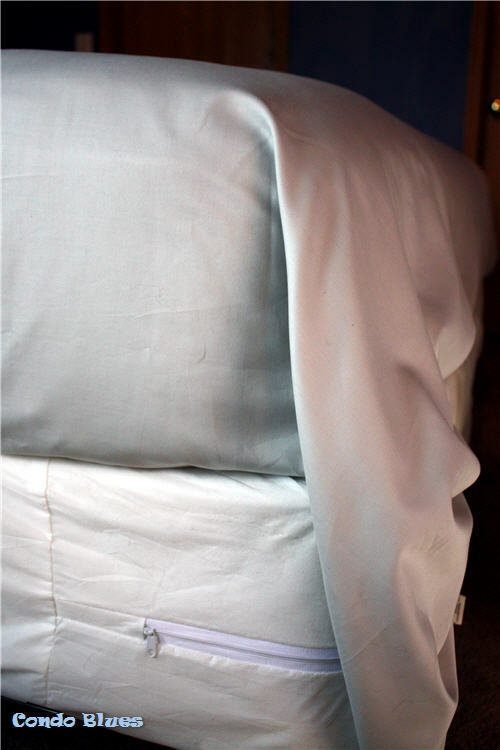 You should now have a hanging flap of top sheet when you are done. 5. Fold the hanging flap of top sheet at a 45 degree angle and tuck the rest of the sheet in between the mattress and box spring spring at the side of the bed similar to folding a corner of wrapping paper when you wrap a present. 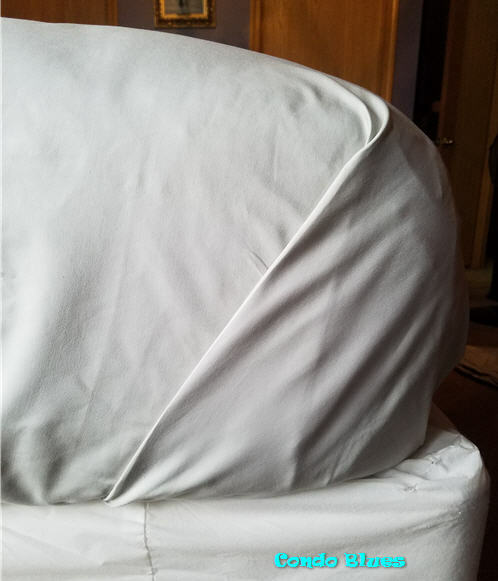 It isn't a perfectly smooth bounce a quarter off the bed tight (thank in part to the pillow top mattress and cushy mattress pad) but it IS a quick and easy hospital corner that keeps the sheet from coming untucked and tangled at night! 6. Repeat Steps 4 and 5 on the opposite of the bed. 7. Bonus: Fold the top sheet at the head of the bed over on itself to show the pattern if desired.